These thin coins, designed to look like Kennedy half dollars, are ideal for all sorts of coin manipulation routines. Perfect for Misers Dream or ANY style of coin manipulation. Use to perform close up coin magic, or stage coin routines. 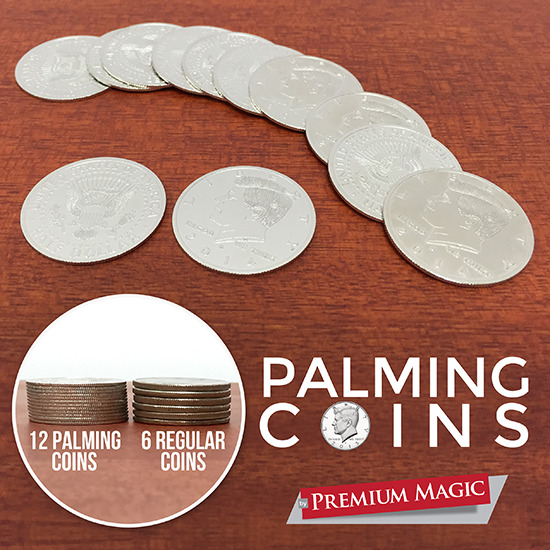 These easy-to-palm coins are replicas of a U.S. Kennedy Half Dollars and are very thin and the perfect weight to palm. You can palm a dozen or more of these coins with ease. They look and sound like actual coins when handled or dropped into metal containers.